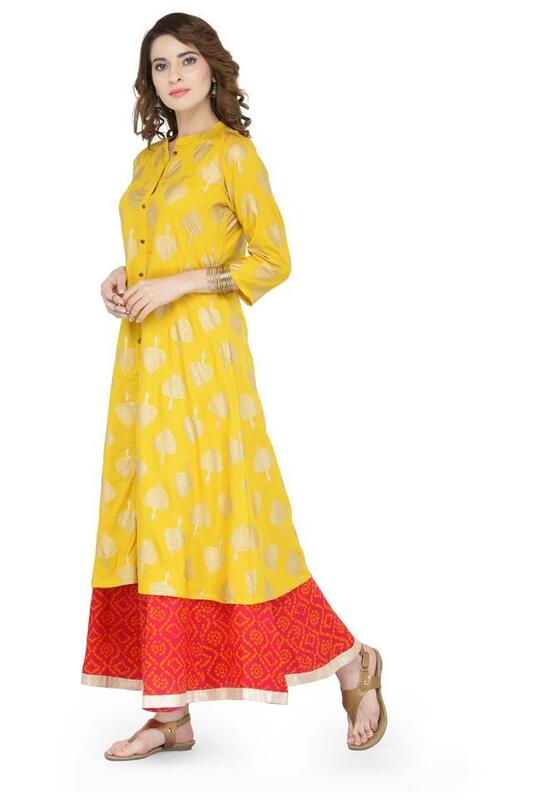 Provide your ethnic silhouette a touch of vibrant sophistication with this elegant front slit kurta and palazzo set from Varanga. 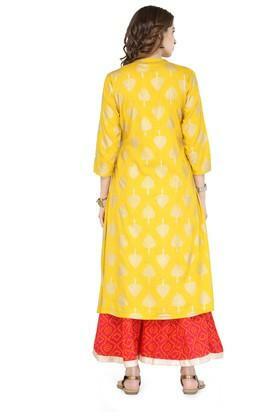 The kurta features a mandarin neck and three quarter sleeves with printed pattern. It is crafted from viscose fabric to keep you comfortable all day long. 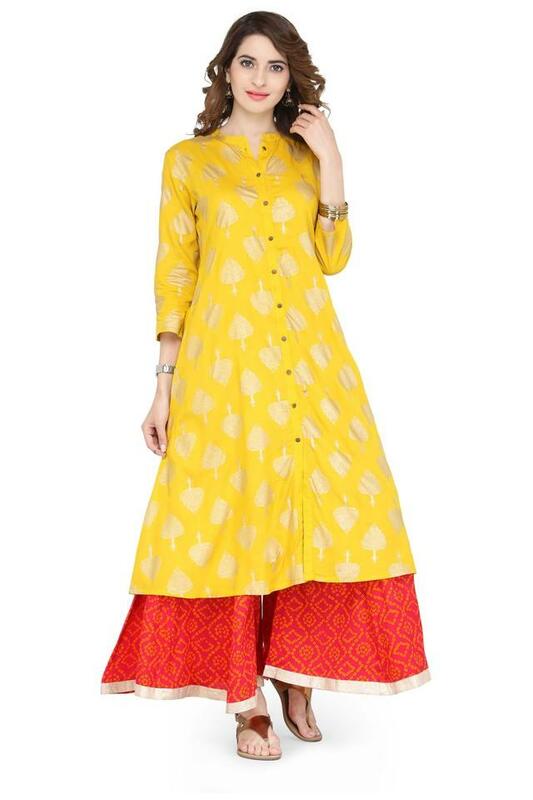 Bring home this kurta and palazzo set, which will be a great choice for casual occasions. Designed to perfection, it will look great with a pair of heeled sandals.